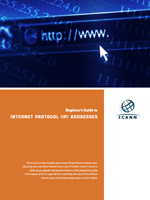 ICANN Beginner's Guides are booklets intended to help newcomers to a topic quickly grasp the basics. Created at the request of the At-Large community (the voice of the individual Internet user within ICANN), these Guides help de-mystify some of the complexity within ICANN's technical coordination and policy-making mission. Do you know what protocol parameters, Internet number resources and domain names are? 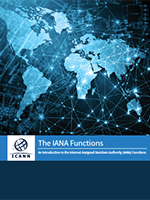 Take a look at this informational booklet on the IANA Functions, the functions that coordinate some of the key elements that keep the Internet running smoothly, to learn more. Created to introduce newcomers to ICANN, the Beginner's Guide to Participating in ICANN is designed to provide you with the tools and resources you need to be an effective participant in ICANN's community-based policy-making process. Published in October 2012; updated November 2013. ICANN's community of individual Internet users is known as the At-Large community, or just At-Large. 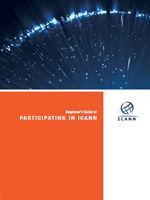 The Beginner's Guide to Participating in At-Large provides information on ICANN's multistakeholder model and the role of the At-Large community, its working procedures, policy issues it has focused on, as well as how individuals and organizations can become involved. Published in March 2012; updated November 2013. Internet Protocol (IP) addresses are the unique identifying numbers that all computers and devices connected to the Internet depend on to communicate with each other. When the pool of available unallocated addresses for IPv4, the original IP addressing system, completely depleted in 2011, the Internet began a transition to IPv6, a newer Internet Protocol system. This highly readable guide helps the individual user understand IP addresses and the transition from IPv4 to IPv6. Published in March 2011. A domain name can become where other people find you on line, and adds to your online identity. Although domain names are a big part of the Internet, understanding how these names work (and the ins and outs of obtaining them) can be mystifying at first. 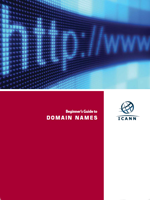 This highly readable guide, created in cooperation with ICANN's At-Large community, helps the individual user understand and use domain names. Published in December 2010. 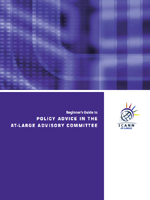 This guide explains how policy advice is developed within the At-Large Advisory Committee, why it is important to the end-user, and how you can make your voice heard within that process. Published in July 2013. 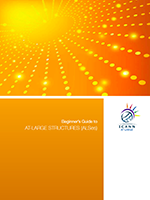 Created for the At-Large Summit II at ICANN 50, this booklet gives an overview of ICANN and its At-Large Structures, or ALSes. Wholly independent from ICANN, ALSes are groups that have registered with ICANN and have met the criteria for involving individual Internet users at the local or issue level in ICANN activities, and for promoting individuals' understanding of, and participation in ICANN.